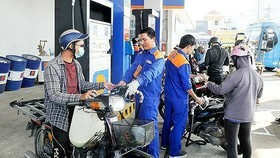 In an interview with Vietnam News Agency, the minister noted Vietnam has suffered from many fluctuations in the international market such as rises and falls in the exchange rate and stock markets in many countries, and the increase in the cost of basic goods such as petrol. The instability will affect the confidence of investors and consumers, he said, adding that if the situation persists, it will harm growth, inflation, employment and many other aspects of the macro-economy. Trade barriers will also influence the regional and global production chain. 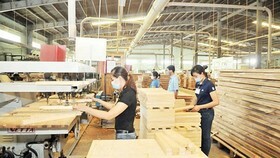 Vietnam is also located in Asia-Pacific, the region likely to be worst hit by the trade war, said the minister. He underlined that trade instability will also lead to difficulties for enterprises and production, requiring timely responses from management agencies. However, the impacts of the US-China trade war to Vietnam will not be as direct as in other countries. 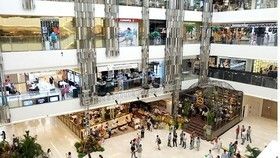 Despite the highly open nature of the market, Vietnam has used careful macro-economic policies. Therefore, in the long term, Vietnam is able to cope with negative developments abroad. Notably, Fitch Ratings has raised Vietnam’s sovereign rating based on rising foreign-exchange reserves and strong economic growth, which shows the confidence of the international community in the country’s policies. 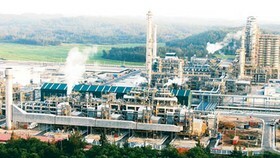 Vietnam has also launched measures to minimise risks and seek new markets for businesses, including signing free trade agreements (FTAs) like the Comprehensive and Progressive Agreement for Trans-Pacific Partnership (CPTPP), the free trade agreement with the EU (EVFTA) and the Regional Comprehensive Economic Partnership (RCEP), stated Minister Anh. He said that the Law on Management of Foreign Trade, which took effect on January 1, 2018, includes specific measures to strengthen the efficiency of State management on import-export activities. Over the years, Vietnam also has taken a more proactive approach to cope with the negative impacts of international trade by applying trade defence measures. “Despite concern over recent international trade developments, we can believe that the Vietnamese economy will overcome difficulties. 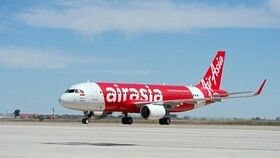 Of course, this also depends on the activeness of State management agencies and enterprises in keeping updated on new changes and taking timely steps,” stated the minister. 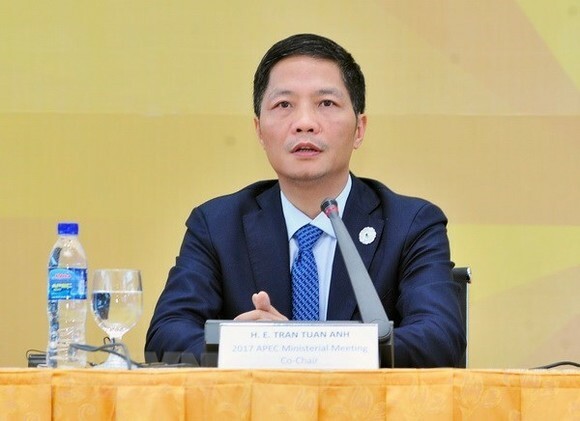 Regarding urgent measures that Vietnam should take to make full use of advantages from multilateral trade systems such as the WTO and APEC, the minister said that over the past 30 years, Vietnam has been deeply integrating into the regional and world economy and become a responsible member of international forums and organisations. 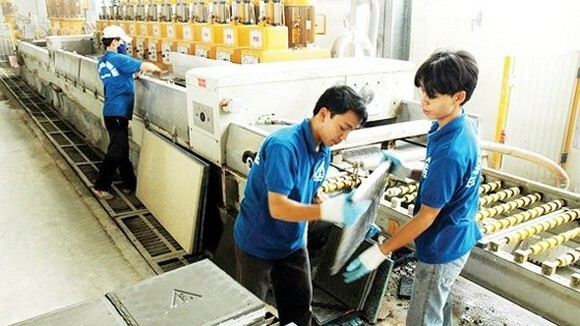 Compared to 1986 when export revenue was only 789.1 million USD, Vietnam’s exports in 2013 rose by about 167 times to 132.2 billion USD, and by 271 times in 2017 to 213.77 billion USD. To fully benefit from international integration, it is necessary to popularise commitments in FTAs to people and businesses as well as trade associations, while adjusting the legal system to suit international commitments, creating a favourable environment for enterprises, he said. He also stressed the need to increase trade-investment promotion activities in markets Vietnam has signed a trade deal with. The minister advised businesses to improve the competitiveness and quality of their products, while raising their awareness of international trade and coordinating in international trade lawsuits. He stressed that to maintain stability, enterprises should seek information on regulations from multilateral trade forums and FTAs to make sure they understand the commitments of Vietnam as well as preferential taxes. “Besides, enterprises should change their business mindset, considering pressure in competition as motivation for renovation and development,” he said. 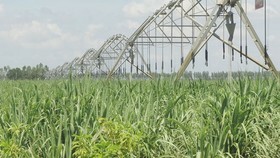 The minister also suggested that businesses should adapt to changes in the business environment through adjusting their middle and long-term plans, while building strategies to diversify their products and export markets to reduce risks, designing preventive plans to deal with problems in export and fostering links with other businesses and consultations partners. 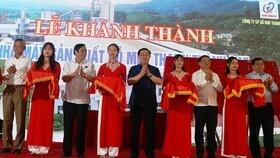 Minister Anh also underlined the need for State management agencies to help enterprises solve difficulties.